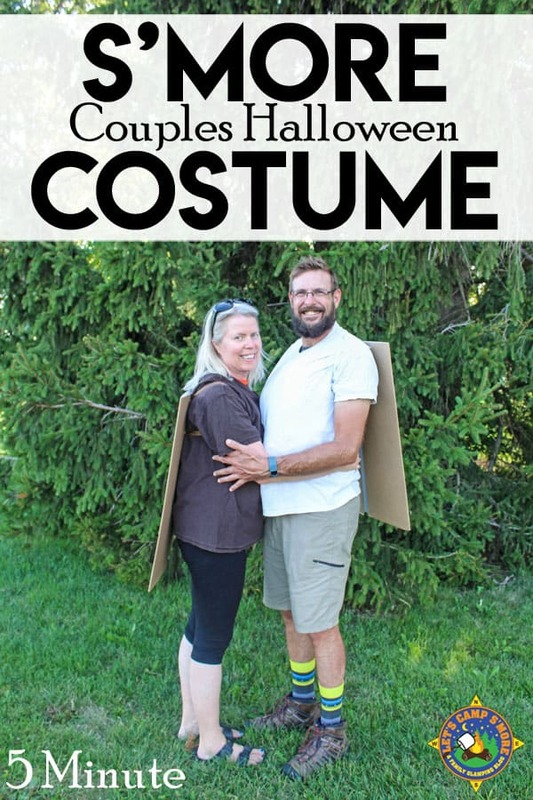 Are you looking for a last minute Halloween couples costume? Put this Smore costume together in about 5 minutes. Halloween is such a fun holiday! Like many people, we do not decide what we want to dress up as until the last minute. Being crafty, I like to make costumes but do not want to spend too much time. 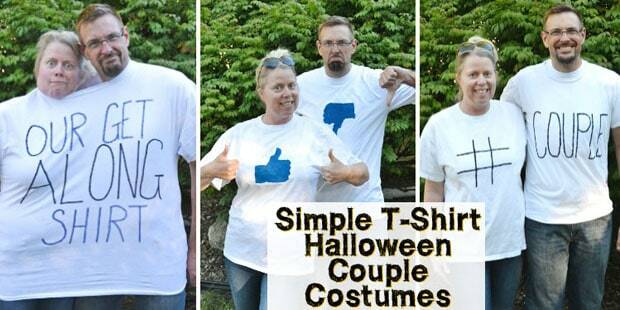 A few years ago, we made these fun t-shirt couples costumes. 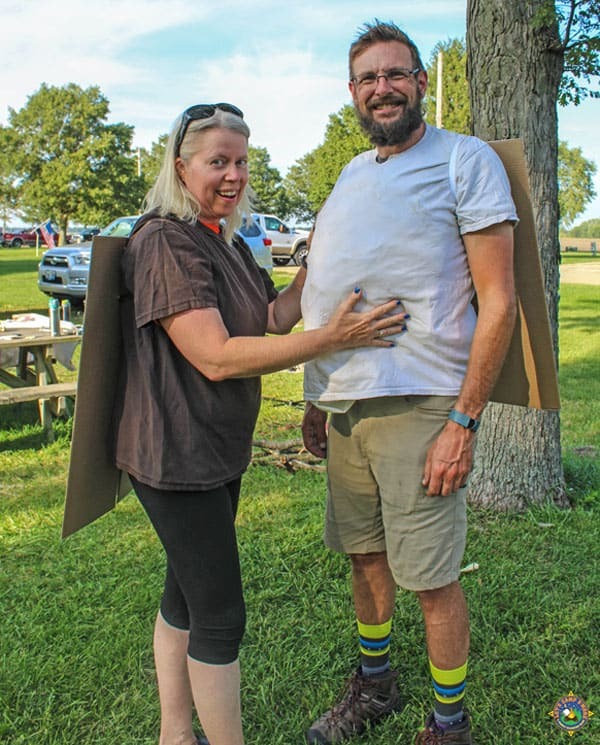 This year we decided to go with this blog theme and dress up as s’mores. This Smore costume is SUPER easy and cheap to make. You might just have all the supplies on hand to make it. Eric was the marshmallow and I was the chocolate. We used an old t-shirt that we have been using as a rag for the marshmallow. It had some faded stains which was OK because it looked toasted. We used an old brown shirt with a print turned inside out for the chocolate. The graham crackers were made with cardboard display boards that I picked up at Dollar Tree. 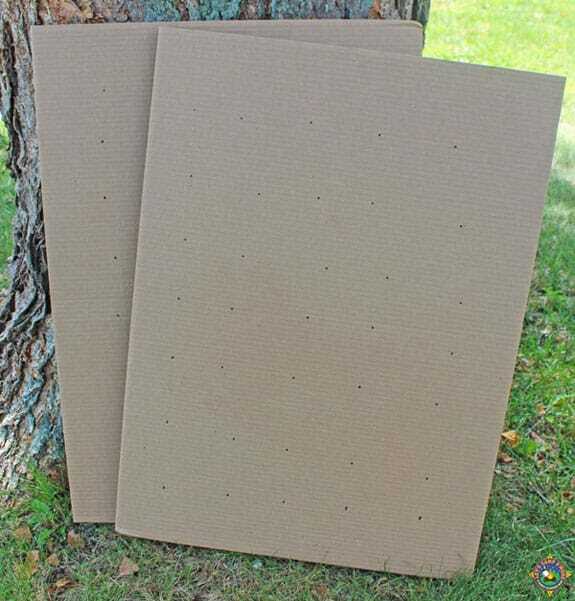 These are the trifold boards that kids use for science fair displays. 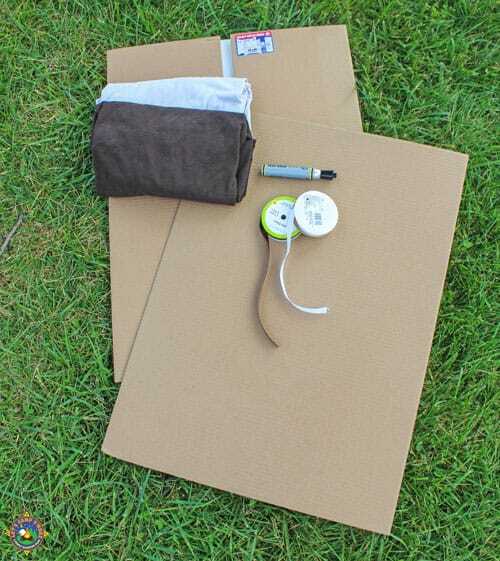 You can also use cardboard you have on hand. I added dots with a black marker to the backside of the board to represent the little impressions in a graham cracker. The cardboard was hung from our shoulders with ½” ribbon. I used white ribbon for the marshmallow and brown ribbon for the chocolate. I already had white ribbon on hand, but picked up the brown ribbon at Dollar Tree. That means I spent a total of $3 on this costume. The ribbons were attached to the folded side of the cardboard displays as shown below. I just punched a hole in the cardboard with scissors and threaded the ribbon through. The ribbon was held in place by thick knots on the inside of the board. One partner puts on the white shirt, while the other dons the brown. 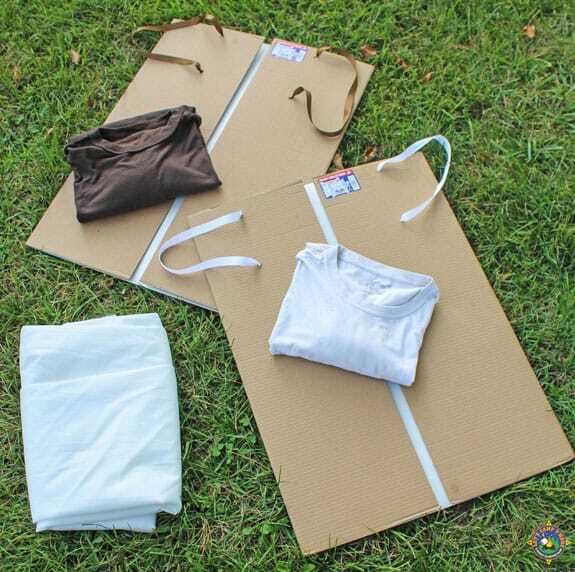 Stuff a white sheet or similar up the front of the white shirt to make a puffy marshmallow. 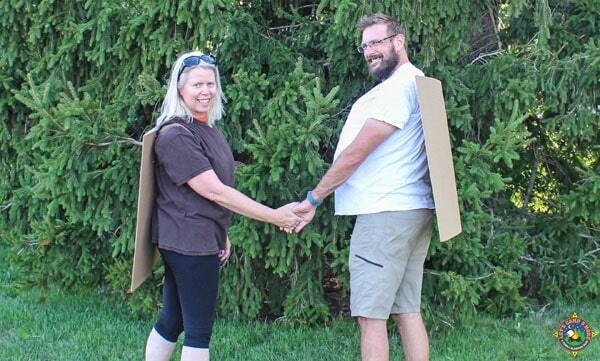 Slip the cardboard graham crackers up the arms and onto the back. Then just come together to form the s’more. There you have a cute and fun Smore costume that is perfect for any Halloween party or campground Halloween celebration! It works great layered over other clothes in case it’s cold out. 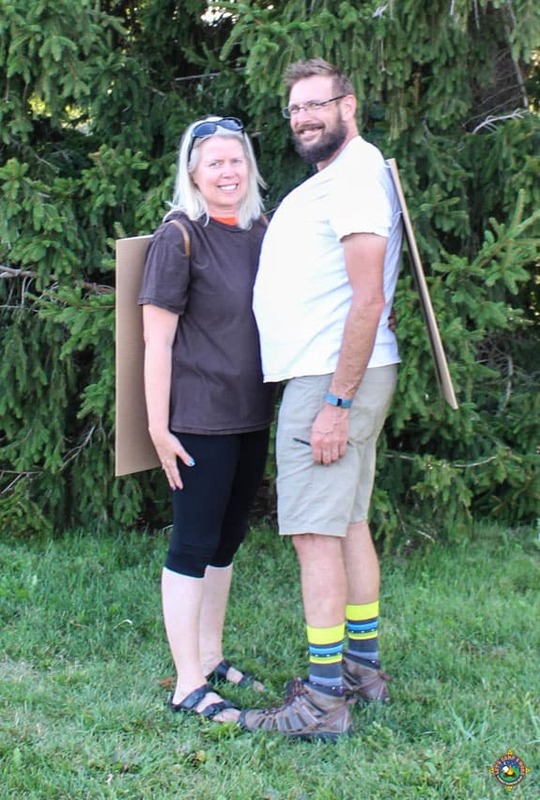 Have you even made a camping themed costume? That’s a full, easy idea. Kinda nice that you get to hug your guy all day in that costume, isn’t it?